Joe and Vera Bailey and their four daughters got caught up in a vicious and deadly civil war in Liberia in 1990. Their daughters were fifteen, twelve, ten, and two. At that time in Liberia, Charles Taylor was trying to take over the brutal regime of Samuel Doe by using even more brutal, dreadful methods. The country was in complete political, economic, and social chaos. Their very lives depended on escaping the country. Vera was allowed to escape first with the baby because little Nai Nai had been born in the United States. 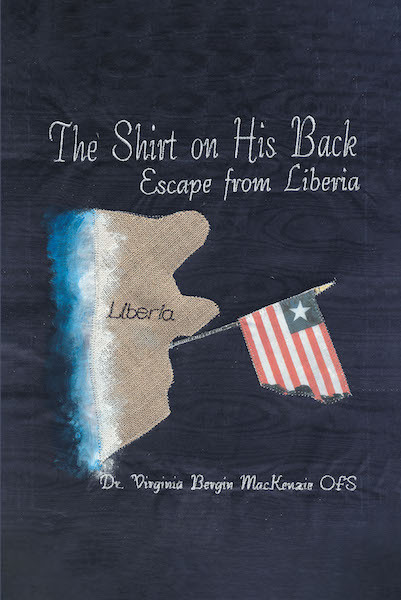 Vera eluded the shooting and looting to finally reach the American embassy, where she was able to get an American marine helicopter to Sierra Leone, and a flight to America. Joe and the other three girls had to wait for several agonizing months to escape, never knowing if they would ever see Vera and the baby again. Joe said that he got out of there with only The Shirt on His Back!